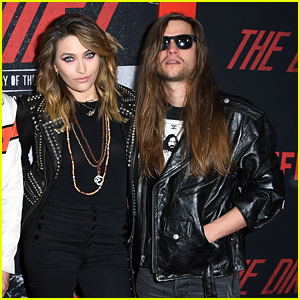 Paris Jackson and Gabriel Glenn couple up for the premiere of Netflix’s The Dirt! 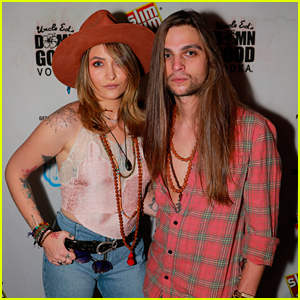 The 20-year-old model – and daughter of Michael Jackson and Debbie Rowe – and her boyfriend stepped out for the event held at the ArcLight Hollywood on Monday (March 18) in Hollywood. Paris kept it edgy in a black outfit featuring a studded jacket, along with an assortment of necklaces and pink makeup, styling her hair into waves. “Thanks for the invite @tommylee! xoxo,” she wrote in her Instagram Stories. The Dirt tells the story of how Motley Crue came to be one of the most notorious rock ‘n roll groups in history. Don’t miss it when it hits the streaming service this Friday (March 22)! 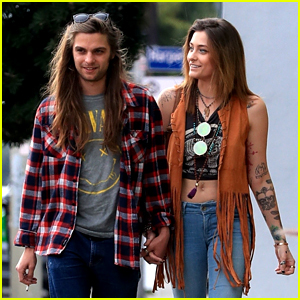 ICYMI, over the weekend, Paris and Gabriel went to the movies together after she slammed suicide attempt reports. 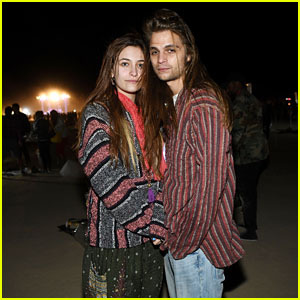 Paris Jackson Attends RiSE Festival in the Mojave Desert!